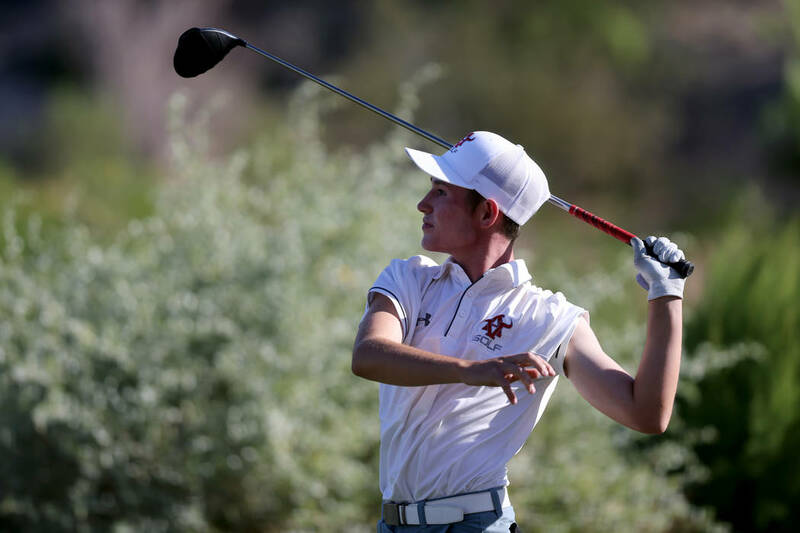 Coronado’s boys golf shot a two-day total of 23-over-par 599 as a team to win the Class 4A state golf tournament at Reflection Bay Golf Club on Tuesday. 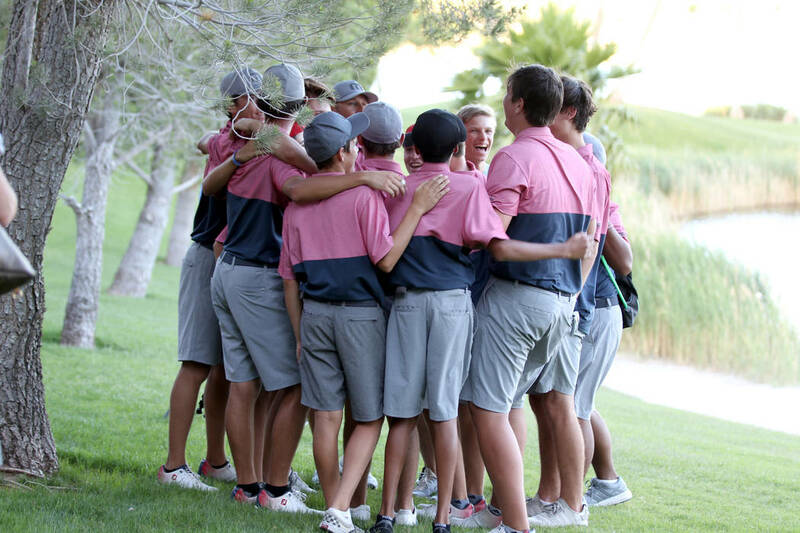 It was the Cougars’ first title since 2012, and Coronado players celebrated by jumping into Lake Las Vegas. Benjamin Sawaia knew exactly how he wanted to celebrate. He gathered his teammates, ripped off his shirt, and went to the bridge. 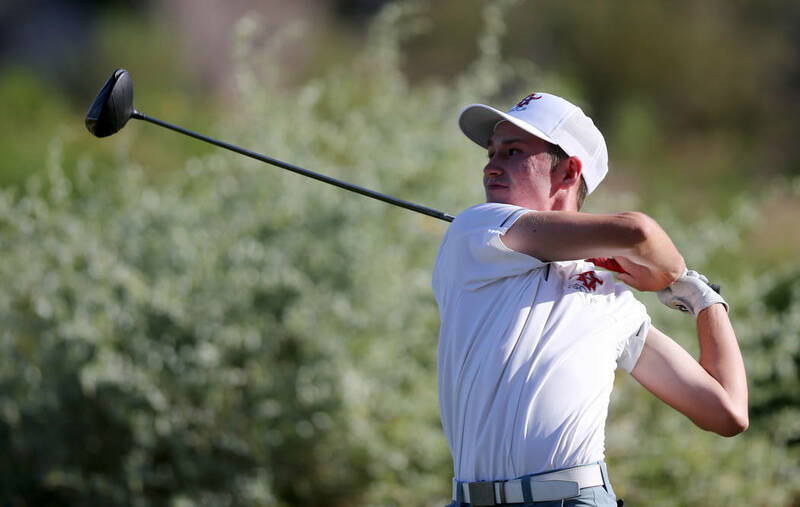 Arbor View’s Cameron Gambini won the individual title after carding a 1-under-par 143. But he didn’t know that when he finished his round. Gambini bogeyed Nos. 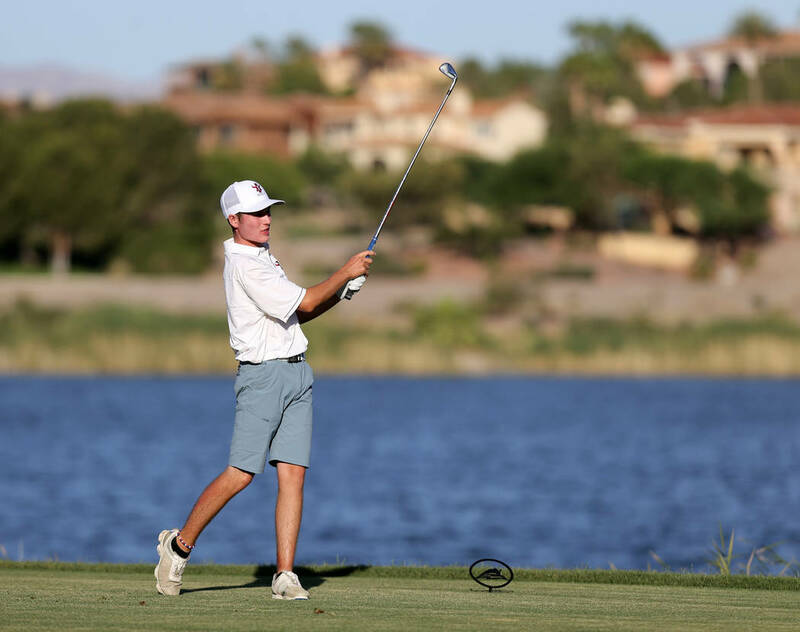 16 and 17 to fall two strokes behind the leader, Mitchell Abbott of Bishop Gorman, who was on No 15. After Abbott doubled the 16th and bogeyed No. 17, he found himself needing a birdie on 18 to tie Gambini. 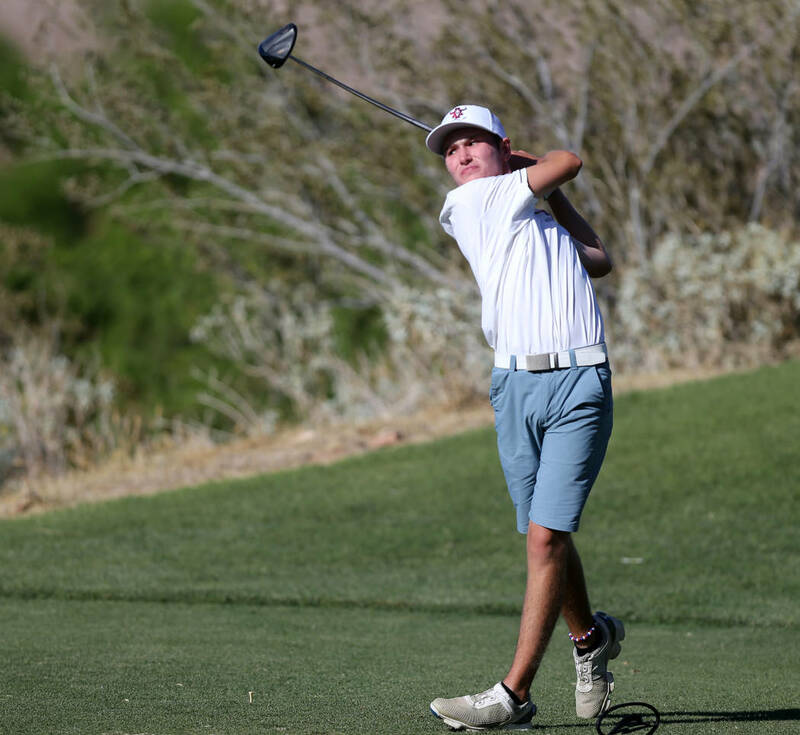 When Abbott hit par, Gambini didn’t react, but he knew he won, becoming Arbor View’s second champion in program history after Van Thomas in 2014. Abbott tied Faith Lutheran’s Aidan Goldstein and Arbor View’s Hazen Newman at 144. But Goldstein took second on a scorecard playoff, with Newman third and Abbott fourth. 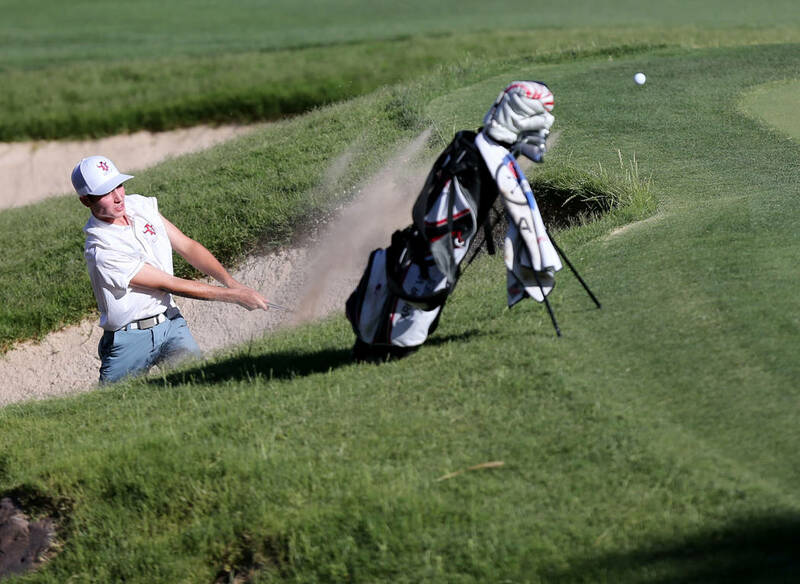 Coronado did not place a golfer in the first five spots, but still managed to go home a winner. Michael Sarro was the top Cougar, shooting a 146 to place sixth. Sawaia and Brett Sodetz tied for seventh, and Dylan Fritz was 19th. 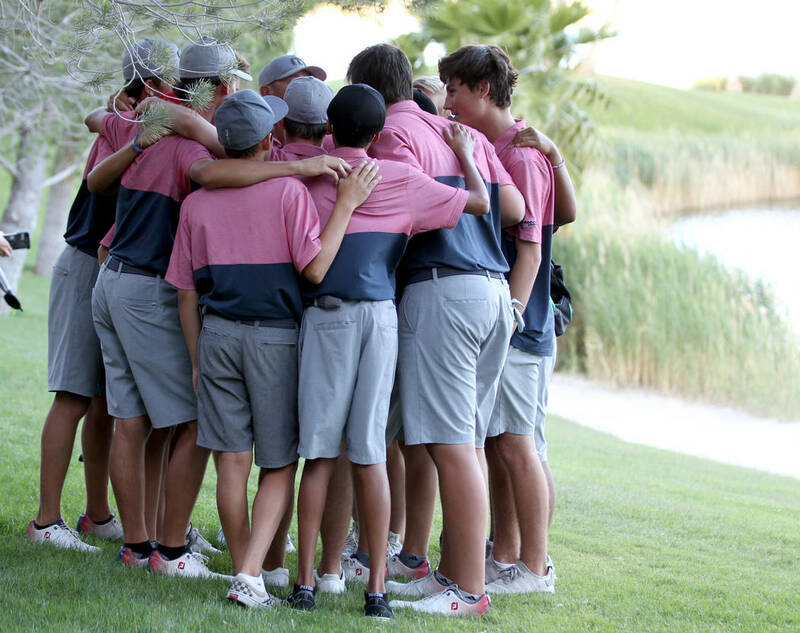 The Cougars finished six strokes ahead of second-place Galena, and eight clear of third-place Bishop Gorman. Faith Lutheran was fourth at 615, Bishop Manogue finished at 620 and Arbor View shot a 653. It capped a dominant year for the Cougars, who set state records for both an 18-hole match and a 36-hole tournament during the year. Coronado coach Joe Sawaia needed a moment to compose himself when asked what the title meant to him, and said he was emotional because his phone was overflowing with texts from the last Cougars team to win the title. He called that 2012 team, one that capped three titles in a row, the best team he’s coached. But this year’s squad isn’t that far behind.